If you think you can only have fun buying and eating chocolates, (particularly Hershey's) - you're wrong! 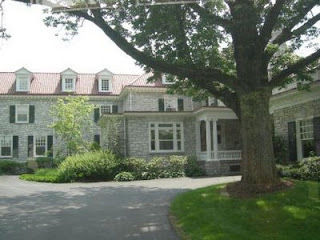 You can have more fun with a lot of "sweets" in the air, with a lot of things to see and hear about Hershey's chocolates. 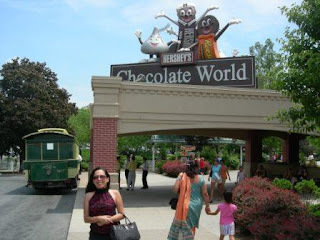 If you love chocolates (my hubby does), then go visit Hershey's Chocolate World, located in Hershey, Pennsylvania. 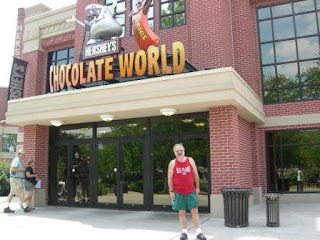 Hershey's Chocolate World is the official corporate visitor's center of the Hershey Company. 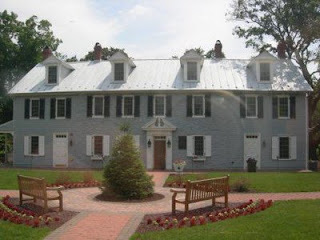 If you live further away, you need to start your trip earlier in the day. We are an hour and 48 minutes away, so we left earlier :). There is a parking fee for a certain number of hours. Less than 2 hours is FREE, and if you had more than that, payment will be charged as you take your exit from the park. Watch the Big 3D Show. it's stunning! If you have kids, they will love it. This is an animated 3-D musical adventure as Hershey's product characters virtually jump off the big screen and come to life. Surprising in-theater effects are always added. We love the chocolate aroma in the air. Who knows? You'll also be catching some real chocolates too ;). Hershey Trolley Works is totally entertaining! 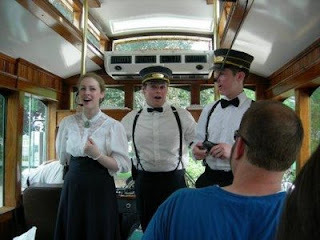 You will get the chance to ride on an old fashioned trolley car as you go around the Hershey community. 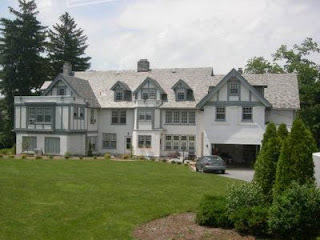 It's all about the inspirational legacy of Mr. Hershey that will be unfolded through a unique entertainment experience. Do you love to sing? Well, you will be singing with your tour guide(s) as well. Fun!